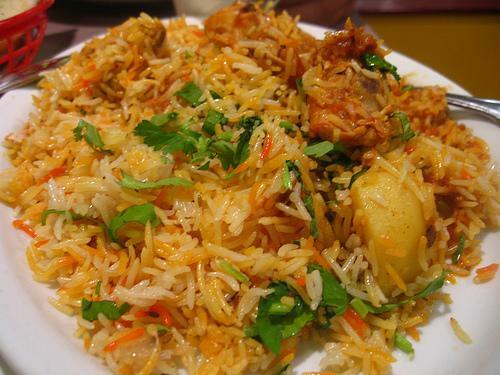 Bihari Chicken Boti Biryani has a wonderful and authentic taste. In this recipe chicken is cooked during dum (simmering) and that thing create a distinct taste. Here is a scrumptious version of Biryani that taste buds must love. Try out Bihari Chicken Boti Biryani and serve at special occasion like Eid. Marinate chicken with all the given ingredients except rice. Leave it for 2 hours. Put chicken in a pan top with boiled rice and half cup water. Leave it to cook on high flame for 10 minutes. Lower down flame and cook for 30 minutes until done. Give dum of coal for 5 minutes. Mix and serve.